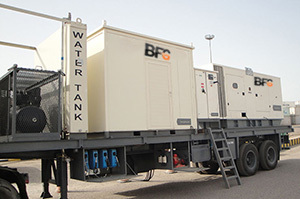 We are able to supply other equipment from (1) day to (5) years with / or without driver/operator and scheduled service and maintenance according to your project need. ENASCO provide generator and light set lease or sale, installation, service and repairs. Our rental agreements are flexible and tailor made for the customer's specific requirements. Long Term rentals give you all the benefits of use with and none of the risks of ownership. Short-term rental solutions can help customers react immediately to a situation with a predicted cost. Other benefits include a single point of contact and simplified fleet management.